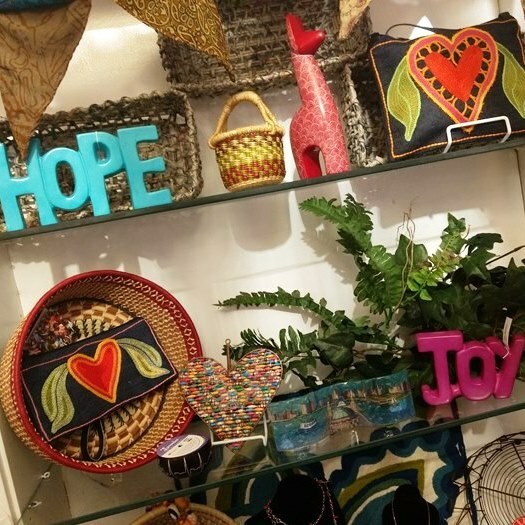 Every product in our Fair Trade+ Galleries gives back to those in need, either by providing necessary income or contributing directly to a worthy cause. Fair Trade provides a sustainable market for handcrafted products made by artisans around the world. It gives artisans who would otherwise be under- or unemployed the opportunity to earn necessary income. In this way it provides families with food, housing, and clothing. The artisans are paid a fair price to cover costs of materials and provide compensation for their labor and skill. The “plus” in our Fair Trade+ Galleries is for philanthropic organizations that give back to worthy charities. For example, a portion of proceeds from sales of 11th Project bracelets by Chavez for Charity are donated to Fox Valley Food for Health. Visit our Fair Trade page to learn more about the principles of Fair Trade and our vendors.